Looking out over drought-parched ranchlands in 2012, Victoria Cappadona noticed one native type of vegetation holding forth, keeping its green amidst the dryness. It was the mesquite, the indestructible and ubiquitous South Texas tree with its golden string of bean pods hanging down like ribbons. Cappadona, a McAllen native now living in the Linn-San Manuel ranch country of northern Hidalgo County, remarked to her father-in-law about the tenacity of the mesquite, which sparked a historical discussion of the tree and its uses over the generations, including making jellies from the beans. She was intrigued. Cappadona decided to give jelly making a try, and recruited her three young sons to help harvest bundles of the bean pods from ranchland mesquites. It would become the first step toward building a full-fledged business featuring mesquite beans and an array of products derived from its natural ingredients. Rio Grande Mesquite, LLC, and Cappadona Ranch today make and sell a variety of products, including mesquite bean jellies with chili pequin, as well as teas and coffees, and perhaps most prominently, mesquite bean flour. 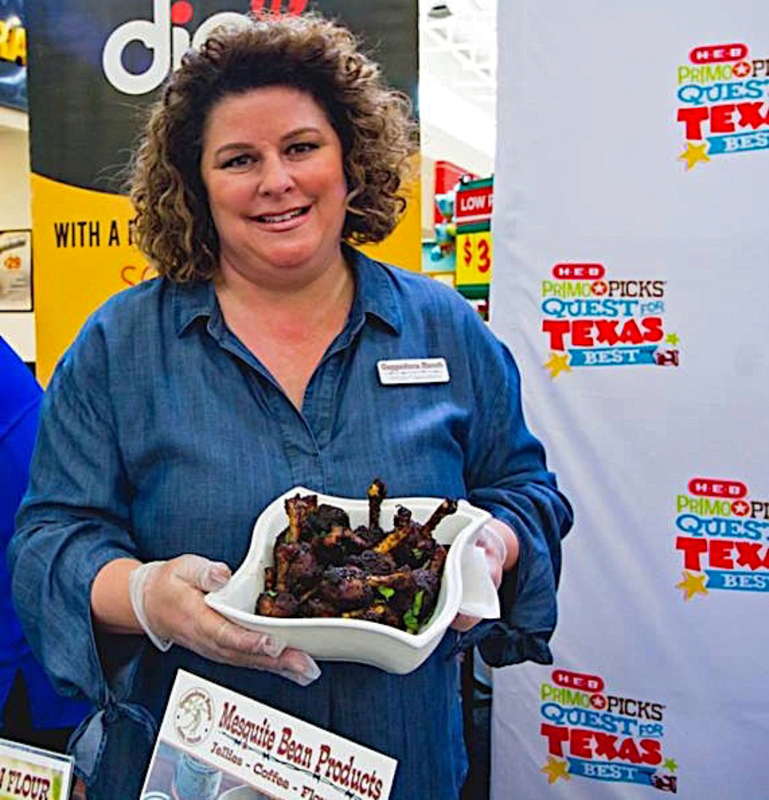 The flour product made such an impression on H-E-B that the grocer recognized Cappadona and her creation among the company’s 25 statewide finalists in its Primo Picks Quest for Texas Best competition. 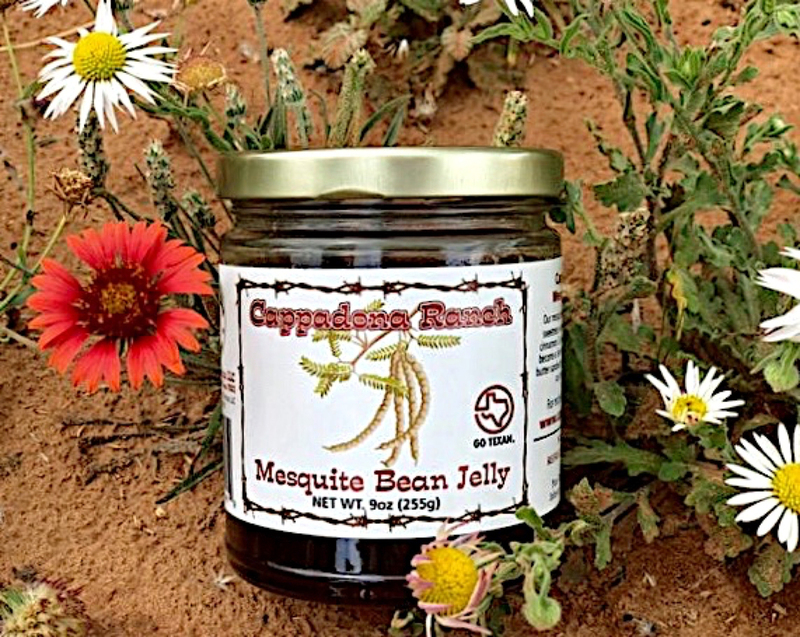 The mesquite bean jellies were the first hits of the Cappadona Ranch products. By the summer of 2013, the mesquite bean jelly products were selling out at farmers markets and via positive customer recognition through word-of-mouth recommendations. Customer demand for the jelly products continued to surge, leading to the creation of a product-specific website so customers could order online. 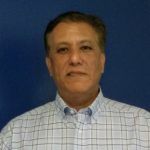 Sensing the need for more business expertise, Cappadona sought the guidance of the Small Business Development Center at the University of Texas Rio Grande Valley. She would later receive innovation grants from the McAllen Chamber of Commerce and the U.S. Department of Agriculture. Cappadona is dreaming big these days, and for good reason, after receiving the recent recognition from H-E-B. “I would like our products to be in stores across Texas and the United States,” Cappadona said. 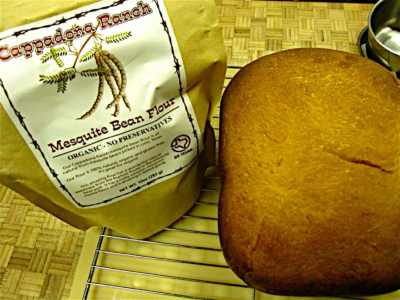 All of the Cappadona products continue to sell well, with perhaps the mesquite bean flour drawing the most attention. It is a versatile product, she said, that in addition to baking and cooking uses it can also be used in smoothies, or as seasoning on meats, and sprinkled on oatmeal for a taste boost. She is developing a regional recipe book that will not only feature the mesquite bean products, but meals and other dishes that can be made from native plants such as nopales and yucca blossoms. It’s all part of her plan to showcase where she lives and works. “I feel like our mesquite bean products not only share the health benefits of what we offer, but it’s also about featuring our ranching life in Linn and San Manuel,” she said.